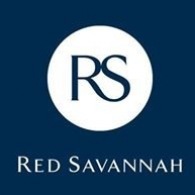 All Red Savannah tours, river cruises, expedition cruises, and adventure trips. Find the best guided trips and expert planned vacation and holiday packages. Average rating of 5.0 for all Red Savannah trips. Seven day itinerary introduces the landscapes and culture that influenced Madiba. Visit Mandela Museum which recounts his life and you will meet a sangoma healer to learn about Xhosa traditions, medicines and beliefs. Delve deeper into the region's history, exploring the Eastern Cape battlefields where the original struggle for freedom began.